Updated for easier installation and operation, the ASD-120 2.0 is a compact rack-mount power distribution system for use where AC power must be distributed to multiple circuits and there is no hard-wired, built-in system. The ASD-120 2.0 AC Sequenced Power Distributor updates the ASD-120, optimized for easier installation and operation. 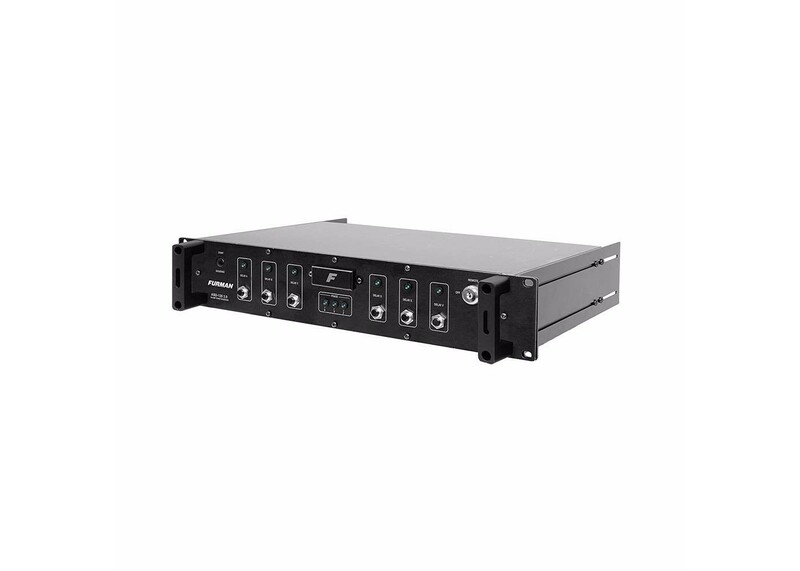 The ASD-120 2.0 is an extremely compact, low cost rackmount power distribution system ideal for touring PA systems, touring musical and theatrical acts, mobile recording facilities, on-location film and video shoots, etc. - any situation where AC power must be distributed to multiple circuits and a hard-wired, built-in system is missing, inadequate or impractical. The ASD-120 2.0 allows you to power up and its six circuits in a sequenced fashion. The sequence is reversed for power down. The delay interval is user-adjustable via an internal trimpot.Power sequencing is needed whenever various kinds of equipment must be powered up or down in groups, rather than all simultaneously. In audio systems, sequenced powering is often necessary to allow turn-on transients from low level amplifiers and processors to settle down before any power amps are turned on, because simultaneous powering would result in a loud, annoying, and potentially destructive 'pop' reaching the speakers. And in any large system whose components present an inductive load to the AC line (including electric motors, power supplies, and power amplifiers of all kinds), sequenced powering can avoid excessive inrush currents that cause circuit breakers to trip even though the steady-state currents are not excessive. The ASD-120 2.0's front panel provides a three-position switch for each circuit that allows each circuit to be part of the power up/down sequence, or to remain on or off apart from the sequence. An LED that indicates when either the power-up or power-down sequence is in progress. The sequence can be initiated with either momentary or maintained switches, locally or remotely. A duplex outlet is provided for each delay step. A locking switch with a removable key is provided for maximum security. Since the sequence control signals are also available on the rear panel, one or more ASD-120 2.0s may be installed in remote locations and operated via low-voltage control wiring. The sequence control signals can also drive PowerPorts, MiniPorts, PS-PRO and PS-8-R Power Sequencers, or any other circuits that need to know when their particular time delay has elapsed. Using one or more ASD-120's can provide the capability of controlling power and power sequencing for an entire system. The ASD-120 2.0 can handle up to 120 amps of incoming power, distributing it to six 20 amp, 120V circuits. Each circuit has a front panel status indicator that lights up when it is turned on, and a 20 amp duplex outlet on the rear panel. The ASD-120 2.0's design incorporates four oversized busses, allowing wiring for 120V or 240V single phase, or 208V three phase power. A strain relief clamp is provided that can accommodate a cable or wire bundle up to 1.5 inches in diameter. Cable termination is a simple process of breaking out and stripping the individual conductors and connecting them with set screws, and then tightening the strain relief clamp. Complete instructions accompanying the unit guide the user through the process of selecting and terminating the supply cable.